Scientists who want to keep competitive, increase their productivity and enhance decision making should take a look at PerkinElmer’s just-released new edition of their powerhouse informatics suite, ChemBioOffice 13. The latest version offers powerful new toolbars, calculations and cloud-based collaboration tools for secure sharing of structures, reactions and drawings with other scientists around the world. Additional biology functionality allows for easier correlation between biological activity and chemical structures. There are also enhancements to ChemBio3D enabling synthetic chemists and biologists to generate three-dimensional models to assess the shape and properties of compounds, polymers, proteins in a manner accessible to both chemists and biologists alike. Meanwhile, ChemBioFinder helps scientists organise their compounds effectively, search for them and transform data into graphs for structure-activity relationship analysis. Download our ‘top ten new features in ChemBioOffice 13’ datasheet to learn more or visit our laboratory software webpages. PerkinElmer Inc (Waltham, Mass), a global leader focused on improving the health and safety of people and the environment, has introduced the newest version of ChemBioOffice® Informatics Suite. Available from Adept Scientific (Letchworth, Herts), ChemBioOffice version 13.0 increases the productivity of scientists with improvements to the industry leading ChemBioDraw® and ChemBio3D® modules while providing secure cloud storage for improved data sharing. The ChemBioOffice suite helps chemists and biologists to efficiently track their work giving scientists more time to focus on their research, visualise and gain a deeper understanding of their results and correlate biological activity and other properties with chemical structures. 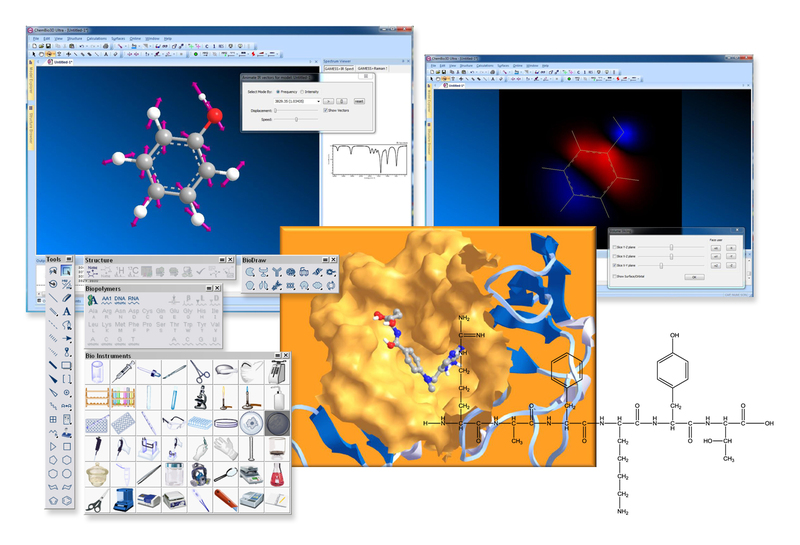 The new informatics product provides individual scientists within an organisation the tools they need to create publication-ready drawings of compounds, reactions, materials and their properties for use in electronic laboratory notebooks (ELNs) and databases as well as for querying chemical databases. The improved biopolymer toolbar of the ChemBioDraw program, the world’s leading scientific drawing program, enables fast and easy modifications to larger therapeutic agents and molecular structures such as amino acids, peptides, RNA, DNA and nucleotides. In addition, users can now copy and paste any sequence into the program to manipulate part of, or the entire section of, a sequence in the search for modifications to gain a deeper understanding of their results and correlate biological activity with chemical structures. To assess the shape and properties of small molecules and biochemical compounds, the ChemBio3D program enables synthetic chemists and biologists to generate 3D models. The ChemBio3D program can evaluate data input and provide valuable information such as the degree of fit of compounds into a receptor. In addition, the program acts as a hub for other 3D modelling programs, providing easy and consistent access to other computational and molecular modelling programs. The addition of a sharable cloud location to ChemBioOffice makes it easier for scientists to collaborate by securely sharing and importing ChemBioDraw and ChemBio3D structures, reactions and drawings with other scientists around the world. ChemBioOffice 13.0 is available now from Adept Scientific. Adept Scientific (Letchworth, Herts) is pleased to announce the immediate availability of ChemBioOffice 2008 from CambridgeSoft Corporation’s full suite of integrated scientific desktop applications. ChemBioOffice is designed to aid individual chemists and biologists at their desktops and provide a shared solution to benefit scientists within an institution. “The ChemBioOffice desktop suite is designed to enhance the overall effectiveness of the institution by lowering costs and improving innovative participation in, and achievement of, shared goals across the organisation”, said Michael G. Tomasic, Chairman and CEO of CambridgeSoft. Remaining at the heart of ChemBioOffice 2008 are the three core applications – ChemBioDraw, ChemBio3D and ChemBioViz. 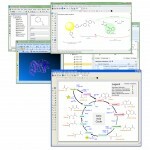 The collection also includes desktop versions of CambridgeSoft’s Enterprise applications: E-Notebook, BioAssay, Inventory and access to a number of important online databases such as ChemACX (for up-to-date product information from chemical vendors) and the ChemIndex compound reference database. ChemBioDraw provides high quality structural drawing, analysis and querying for chemists and offers biologists their own first-class tools for drawing and annotating biological pathways. With integration a key objective, ChemDraw and BioDraw documents use the same native file formats to ensure information is seamlessly communicated between different teams of scientists and easily exported for use in presentations and publications. ChemBio3D provides molecular modelling and eye-catching graphical visualisation of small molecules and proteins involved in chemical and biological processes. For macromolecules ChemBio3D can render cartoon depictions of proteins and nucleic acids making it possible to carry out state-of-the-art protein visualisation on the desktop and provides interfaces to GAMESS, Gaussian, Schrödinger’s Jaguar and the latest MOPAC. ChemBioViz with ChemFinder provides a visualisation tool to correlate chemical data with biological activity. Features include descriptive statistical results which are shown on plots and Compound Profiles – a way of visually comparing and ranking structures based on values of selected properties. Tying these applications together is ChemBioScript, a new chemical Python extension language from CambridgeSoft, which provides a set of classes and methods for working with atoms, bonds and the other properties of molecules, reactions and 3D models. 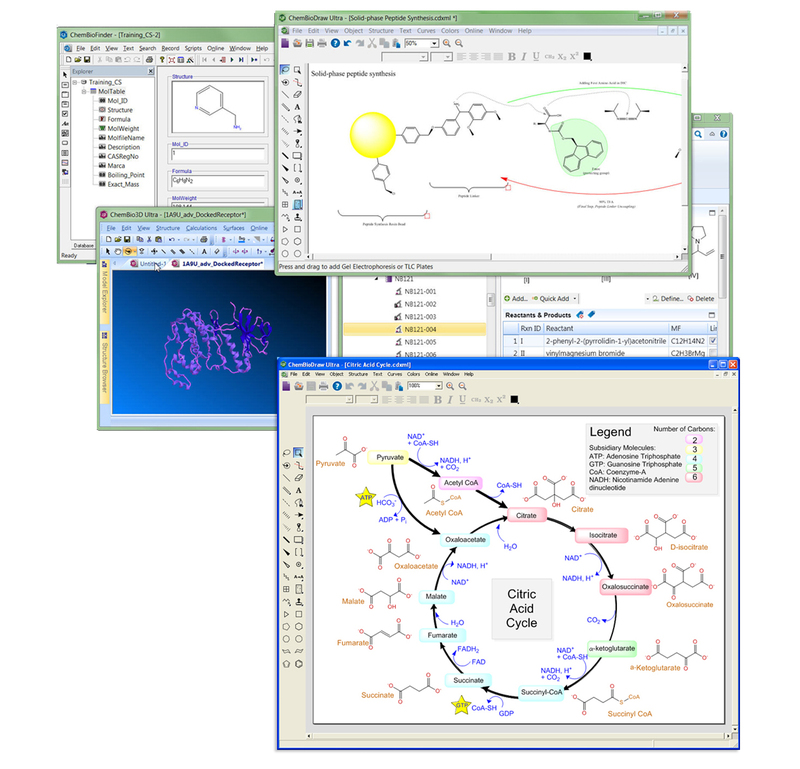 In addition to the three core applications, ChemBioOffice 2008 also offers a number of other new and updated components to the suite. E-Notebook Ultra, BioAssay Ultra and Inventory Ultra are designed to deliver much of the functionality of CambridgeSoft’s enterprise level applications of these products to individual scientists at their desktops.